If you’ve ever thought about blogging as a way to make money then you've no doubt wondered how hard it is to really make money blogging. I’m here to tell you that it’s not as hard as you think it is if you have the right personality for it. So, we’ll break that down today. We’ll cover how hard it is to make make money blogging, but we’ll also cover how to tell if this is something you should absolutely pursue or if this would be a stretch for you. This can be a confusing question (much like the related how many pageviews do I need to make money from blogging) because it completely depends on your skill level and personality. For background. The blog supports my whole family, and just 10 months after starting a new blog I reached full-time income. I'm considered to have made it look easy. My story isn't necessarily unique but it’s also not completely common. I know a ton of bloggers all making more than $5,000 a month from blogging and not a single one has prior experience in writing or journalism. Bloggers come from all walks of life. Some were nurses, some were students, police officers, accountant’s, administrative assistants and even a wrestler. 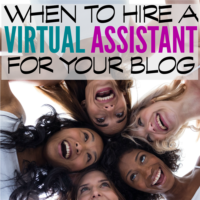 Have the required skills needed to blog (see the full list below). Have an interest in expanding the skills that would benefit you (see the full list below). Are dedicated to spending at least 10 hours a week blogging with the possibility to extend your hours as you grow into a full-time income. Are willing to reinvest your early income back into the business to get training, tools, and outsource. If you can solidly agree to those four things and you have the drive to make this work (a current job that you’d love to leave helps a lot!) then I don't think you’ll find making money from blogging hard at all. The required skills needed to make money blogging. Ability to write from the heart. Blogging isn’t writing for a term paper. You want the average person to be able to read and understand what your writing. You also want the average reader to be inspired by what you're writing. Knowledge of something that you can teach. The most profitable blogs teach something. You don't need to be an expert, you just need to be ahead of your target audience (the people that will read your blog). I’m a perfect example of this. My blog is about personal finance. I know virtually nothing about long term investments but I’m an expert in budgeting and behavior management. I blog about budgeting even though I’m not an expert of investments (which is a big part of personal finance). Because I’m ahead of my target audience, that works. If I were trying to attract blog readers that are 40-55 years old with a net worth over $1,000,000 then my blog would fail because I’m not an authority on the subjects that they would be interested in. My audience would be ahead of me. Passion about a topic that you have knowledge in. Just as important as your knowledge in your subject is your passion for a subject. Being an authority on a topic (which is what a blogger is) means immersing yourself in the subject every week. If I didn't love budgeting and helping readers change their finances then I wouldn't be able to do this successfully. After a while, my writing would get forced and readers would be able to see that I didn’t care. Thankfully, I’m CRAZY passionate about budgeting so I can’t see that ever being a problem. If you’re the type of person that loves penning letters and keeps journals around the house then you're good to go. You’re talking about making a living from writing… it’s a lot of writing! You need to love it! The beneficial skills that will help to grow your blogging income. The ability to read people. Being able to read people and knowing what will make them take action is hugely beneficial to a blogger. Your goal in your blog is to teach people and to move them to action. On this blog, I talk to people who are overwhelmed with their finances and it’s my goal in every post that I write for them to take action that second and make a change for the better. Knowing what will make them do that will make you a very good blogger. This is knowledge of ROI (return on investment), outsourcing, and how to capitalize on your resources to produce more income. Marketing is being able to show people your worth. Whether that be readers to check out your blog post, sponsors to sponsor a post, or even for a publicity appearance. Marketing is also showing your readers the worth of the products or services that you’re selling. Marketing skills are extremely beneficial in blogging. 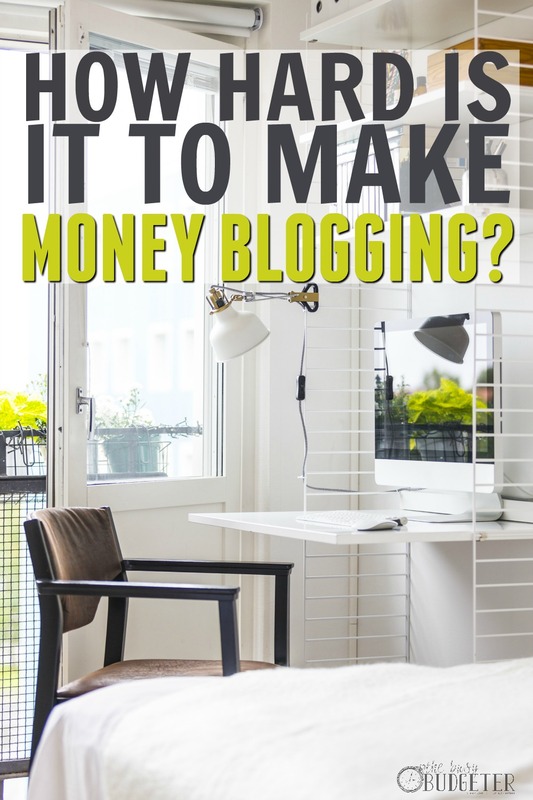 By “make money blogging”, I mean make a full-time income from blogging. I call making over $3,500 a month full-time income but full-time income for you may be significantly higher or lower than my number. That being said, there are tons of extremely profitable blogs and there's no cap to your income. When I started, my goal was $2,500 a month and that seemed like a pipe dream. In fact, It was relatively easy to go to full-time income in 19 months. I work 20 hour weeks and took two months off (by “off” I mean I work about 3 hours a week or less) in my second year. Why does it seem so hard to make money blogging? Because not everyone has those four qualities and usually the ones talking about it are the ones that are struggling with it. Lack of education and training is another problem. Blogging is a business. Just like you wouldn’t open a car repair shop if you have no idea how to fix cars, you shouldn't expect to make money blogging if you have no idea what you're doing. But just because you don’t know what you’re doing now doesn't mean you can't learn. I had no idea what I was doing when I started. 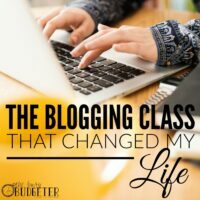 Invest in a good quality comprehensive class like Elite Blog Academy to walk you through every single step of creating a blog, choosing a niche and a topic and expanding it into a business. Then focus on investing in the training that will grow your foundation (you can see all of my recommendations in this post for tools to blog full time). Keep in mind that Elite Blog Academy is only available once a year, so your best bet is to join the waiting list here. Blogging vs. a traditional job. I usually just nod and say it's tough when people ask “how hard is it to make money blogging?” since it’s kind of a long explanation and most people are just making small talk. But the truth is that blogging isn't hard. Hard is waking up ridiculously early in the morning and packing my still sleeping kids into the car to take them to daycare where they’ll sit for the next 10-12 hours while I fight rush hour traffic to make it into work on time (hopefully) and spending the day dealing with a boss that loves to micromanage and ridiculous clients, customers or co-workers while I contemplate a life of never making more money than I’m making now. Trying to be a mother, a wife, and an employee is ridiculously hard. Will blogging be super easy? Nope… but it will never be as hard as your old job and if you meet those four requirements then you’ll never work again. Because you’ll love what you’re doing. You’ll live for those emails from readers that tell you that you’ve changed their life. You’ll love controlling your own business and growing it into what you want it to be. Never before in the history of the world did we have an opportunity like we have now. Mothers can choose to stay at home and start businesses with absolutely no capital and grow it into a $20,000/month business. I feel so lucky to be living in an era where blogging is a thing. I love creating a national conversation about money and finances and bringing it out of the closet. I love that I can support my family from home. I’m also grateful that I get to decide how I want to live my life. I can travel the world and work while I do it, I can keep the kids home with me and homeschool, I can afford full-time day care. I get to craft the life that I want to live from the ground up. In the words of my mother… “This is unbelievable. I didn’t even know that blogging was a way to make money”. Well, 19 months ago, neither did I. And that says a lot about how hard it is to make money blogging. 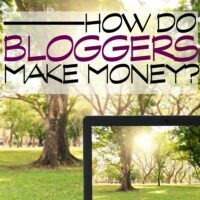 Looking for specific ways that bloggers make money? Learn the 5 ways that bloggers make money here. You can find a step-by-step guide to starting a blog (specifically written for the person that isn't a tech geek) here. You can actually start a blog for just $3.49/month! Do you have a blog? How hard is it to make money blogging? I really enjoy blogging. It’s exciting to see my income start to grow more every month. I’m finding that it’s important to invest into my business and invest in myself. I need to keep learning new skills and keep up with changes to social media and technology. I am starting out with this, and there is so much to learn! Keeping with it is the major thing – I have heard that most give up in the first year. Thanks for sharing your expertise! I have always appreciated your honesty. You have a great business sense. I love how you can take the mystery out of starting a business and break it down in bite sized pieces for all of us to understand and grow!! I have a blog and just started a couple months ago! I write about infertility, adoption, and parenting a child with special needs. Blogging is still so new to me, but I am learning new things every day. It seems hard to make money at times and slow going. 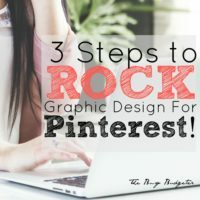 I love these tips you shared and hope to use them to help me. Thanks for sharing at #wonderful Wednesday blog hop! I am really glad I read this today. I have been working really hard on my blog for the past 7 months and I still have not had a paycheck. This was just what I needed to read to give me the encouragement to keep going. Thanks, Rosemarie! I have read a lot of your blogs but this one truly makes me feel like starting a blog is the right decision for me! Thanks so much for all of the inspiration. Like Jacinta said you make so much sense. I chuckled at your description of blogging being difficult as compared to a traditional job. Very true! I enjoyed reading about your experience and thoughts. I don’t have a blog but have thought about it for a while. I know the topic I’d blog about and just get stuck at the technical things behind it. But how hard can that be, really? Right? Brands will reach out to me to try out their products all the time. They want reviews on my blog and YouTube channel and I tell that that I charge for such services and sometimes they say, OKAY never mind or sometimes they agree and we continue chatting about our options! I make a living off of blogging because I know my worth and I don’t lower my standards. I love this post, especially the paragraph “blogging vs. traditional job”! so to the point! I am a newbie to blogging world (my husband and I have started the blog we are passionate about – home renovations and DIY) and still working part time at my traditional job. Blogging is definitely easier – I don’t even feel like I am working! though income is very-very tiny, we are hoping to grow it little by little. Thanks for this post! I’m currently an English teacher, and although I love my job, it doesn’t pay well. Writing and helping others are both passions of mine, not to mention being creative. A blog is something I’ve pondered with recently, but I’m scared to take the plunge. Could blogging be what I’m looking for?! Thanks! Thank you for this! You answered every question I had. I’m inspired and excited to learn more about blogging! I agree with you that ”You don’t need to be an expert, you just need to be ahead of your target audience” I have always been facing problems with How hard is it to make money blogging and was trying to hire someone to help me. When I started out a year ago, I never knew I could transform it to a full time Job. Am glad now am getting good income from it. Thanks for sharing your insights. Thanks so much for this article! This is such a motivating and realistic look at getting started with blogging. I just started my blog recently and this article (and quite a few others from Rosemarie) were the tipping point for me to finally just do it! I always find your posts about blogging very inspiring! I found your blog by listening to your interviews on the Side Hustle Show, and that helped me to finally start a blog! Making money blogging isn’t easy, but it’s also not the hardest thing. If I think about how hard I had to work in my job while I was full-time working over 12-14 hours a day, blogging is a breeze in comparison! I’ve been contemplating blogging for quite a long time! I love your blog and have also been a member for quite a while but I feel like the one question I am struggling the most with is trying to decide exactly WHAT to start my blog on. I am very passionate about a lot of things and I happen to be a hot mess with a great sense of humor so I’ve always felt that I wanted it to be more real and just basically about my life. Well after reading this today I’ve realized that I need to perhaps have more of a goal in mind in order to target an audience and provide a service Am I understanding this correctly? What would your advice be for someone who’s been through it all and feels like life advice and humor are what they have to offer? This is such an inspiring story and a challenge as well. I have been earning online for several years and tried blogging not just once but several times but failed. But I am a person who doesn’t give up easily so I am trying it again this time. One reason is the hope to work on my own and eventually give up my day job. I am continuously searching for ways to improve my skills and I should say, I learned a lot from your blog. Thank you for sharing wonderful tips.